Welcome to the Summer of Free (PowerPoint Template) Love! This summer, look forward to digging your toes in the sand, playing Frisbee with your kids, or enjoying a popsicle in the sunshine. We’re giving you a design vacation. It’s the Summer of Free (PowerPoint Template) Love, and we’ll be spreading the love every Tuesday with a new, free, gorgeous PowerPoint template. This week we’re kicking it off with “A Day in the Life.” We’re not talking about the Beatles classic, we’re talking about an elegant template that helps you share images and info in a simple, gorgeous way. And of course you can use this PowerPoint template in Articulate Studio ’13, Articulate Storyline, and Articulate Storyline 2. We can’t wait to see how you make it your own. 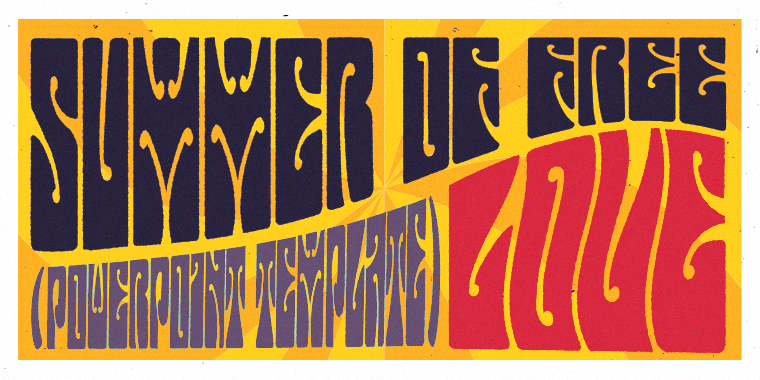 Check our downloads hub every Tuesday for the latest awesome template, and follow #PPTlove on Twitter to share your tips and success stories with these Summer of Love templates! Far out & right on!